Since its release, the Alec Bradley Ameri​can Classic has been a hit, a winner through and through. Carefully blended by Alan Rubin, the line now has a new member of the family, and it’s a home-run. 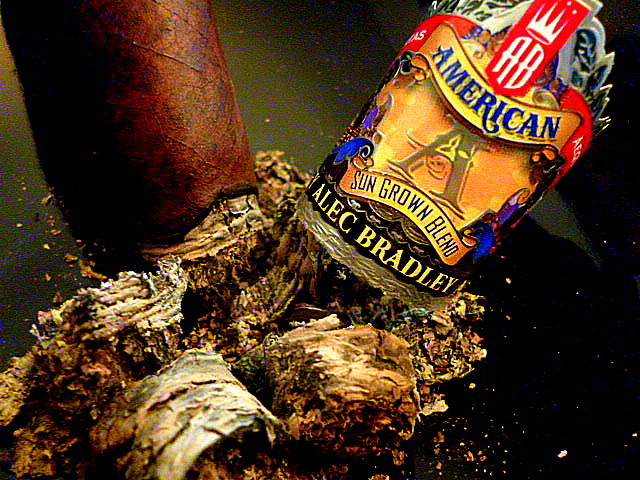 Enter the new Alec Bradley American Sun Grown. This Nicaraguan puro utilizes the same Nicaraguan long-fillers as the American Classic, but now comes nestled inside a beautiful Nicaraguan sun-grown habano wrapper. Creaminess shows up early and envelops the spice. There is a pie crust component to it…sweetness. And then here comes the Nicaraguan cocoa experience. It bathes my mouth in delectable dark chocolate. And with it, is the taste of almonds to round out the candy bar experience. Less than an inch in and this cigar is showing off its pedigree. It is a meaty cigar. It quickly gets close to full body at this point. There is an Illuision quality to it. That dark deepness. The depth of character. I love this cigar. And I have nothing to do with the Alec Bradley folks. The trick is to let them rest a bit. Do not smoke these sticks upon receipt. Give them a month and you will be rewarded.